There are more than seventy thousand regisitered varieties of daylillies which come in a vast range of colour, shape, height and flowering periods. Hundreds of cultivars have fragrant flowers. They are rugged adaptable perennials which survive winter with little or no injury so are ideally suited to British Gardens. Daylillies are easy to grow; initially as a single fan of leaves coming from the crown, further fans appear in successive years spreading into manageable clumps which can normally be divided after four years. They require minimal maintenance, will tolerate a healthy range of soils and do not require watering once established. They produce blooms of such unusual colours that they have been described as the poor man’s orchid! The blossoms last only a day, flowers open early in the morning and wither the following evening, but established clumps can produce a succession of blooms for a month or more. Removing the spent flowers prolongs the flowering season and maintains the impact of the plant. The majority of varieties flower from late June through to early August. Daylillies are versatile and can be used in the herbaceous flower border, planted in large masses as ground cover, used to create a hedge or as a single specimen in pots or containers. 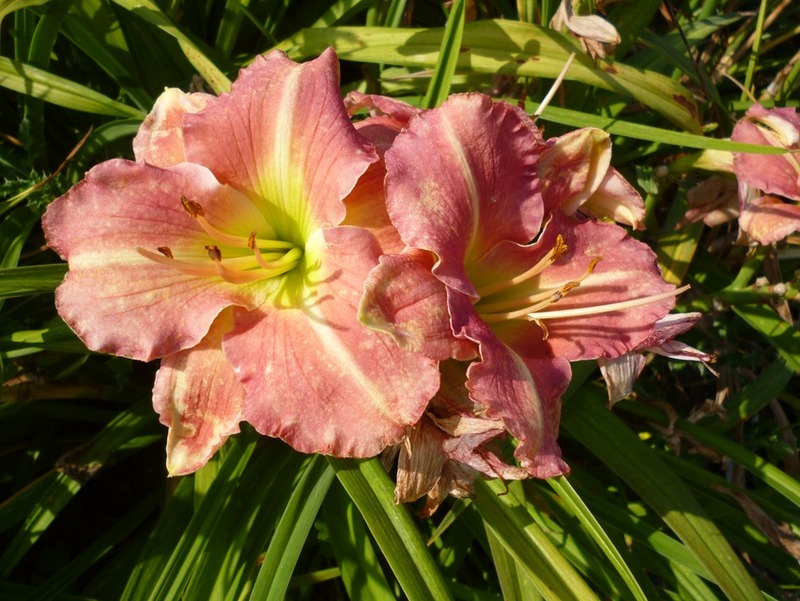 A new range of hemerocallis was introduced in 2016 in addition to some old favourites. See our catalogue for further details.